We have partnered with Eastfield College to provide Workforce Training for you and your employees. We recognized the need you have for workforce training so we reached out to Eastfield College because they have a respected corporate training and workforce program. Janet Foreman, the Corporate Solutions Account Manager at the college, helped develop the training program and also serves on the Chamber’s Board of Directors. 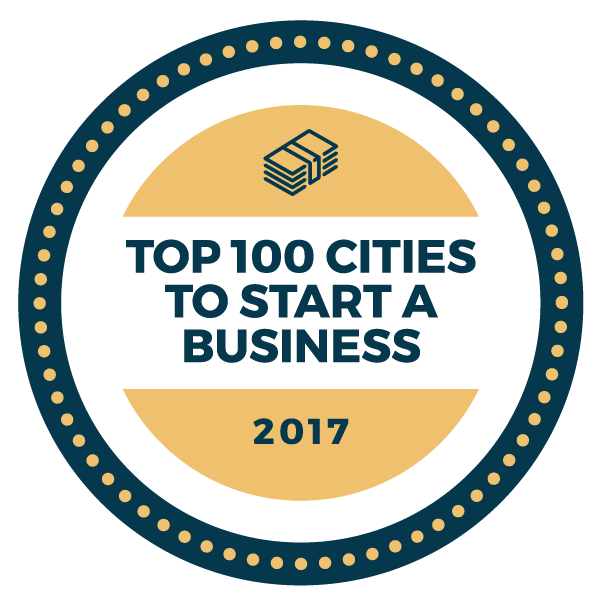 This partnership is just another level of helping you develop your business by providing another opportunity for business owners, managers, and employees to come in and educate themselves or send your employees or staff for education. In a recent membership survey you emphasized the need for training in sales skills, personal development, soft skills, and other business-related skills. The first series of courses begins to offer that with a 6 part Leadership Series. There is a nominal fee to cover the cost of each course and a discount for pre-registering for all 6 classes. 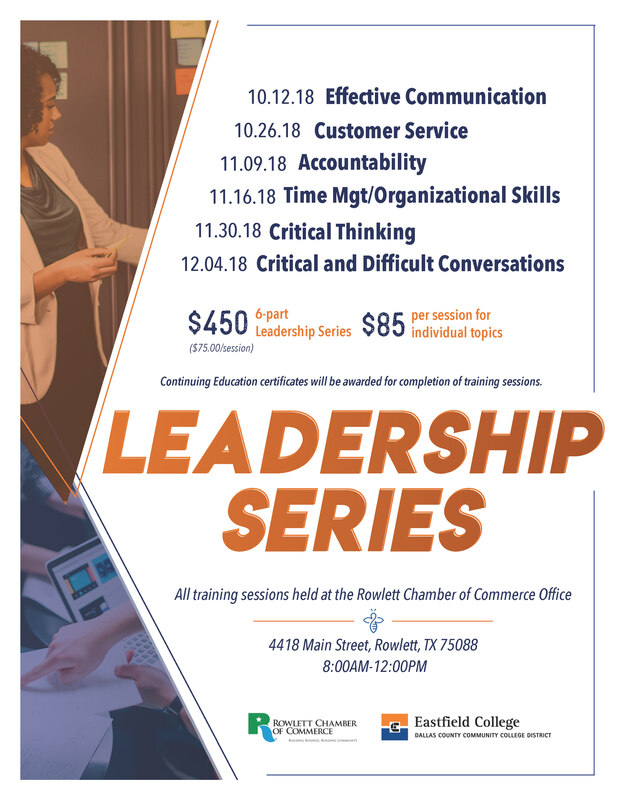 Each of the 4 hour classes will be held locally at the Rowlett Chamber office, taught by a professor from Eastfield and Continuing Education certificates will be awarded for completion of the training sessions. Classes are open to anyone who wishes to take them. 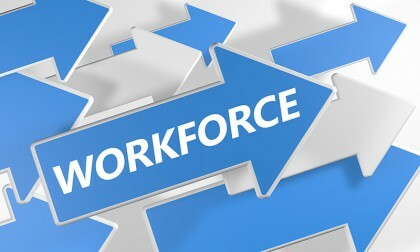 Dates, times and registration information can be found on the Chamber’s website at http://www.rowlettchamber.com/workforce-training.